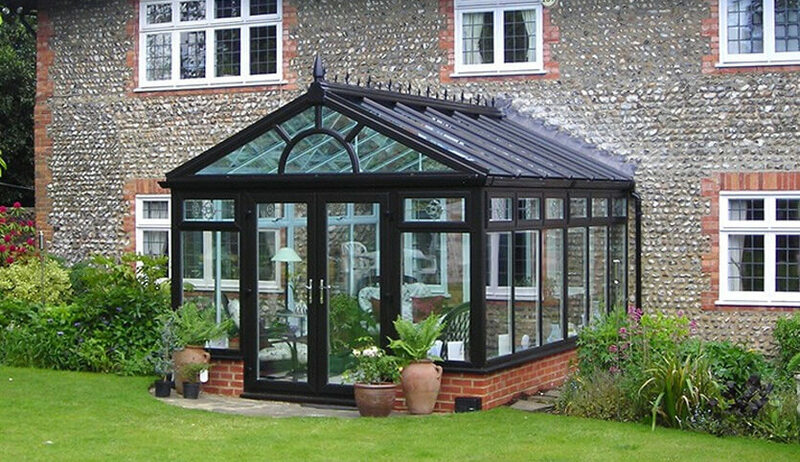 An elegant Gable conservatory is the perfect way to bring some regency grandeur to your home. This spacious design lends itself perfectly to a large dining or living area. The gable style also makes a fabulous sun room and with its flat front it becomes even more welcoming on sunny days. This versatile style perfectly blends in with traditional homes due to its classic design. With a range of colour and customising options it can be tailormade to suit your home perfectly. A variant of the Georgian conservatory, this style has a rectangular floor plan with a triangular front. The front is a perfect trap for sunshine and fills your room with natural light. The windows extend to meet the roof which adds to the feeling of greater space and light. With the roof giving the illusion of more space, the Gable conservatory is ideal for gardens where you are limited for space. Benefit from extending your home without losing your treasured outside area. With your Gable conservatory, you can choose from a range of customisable options to make your conservatory truly bespoke to you. 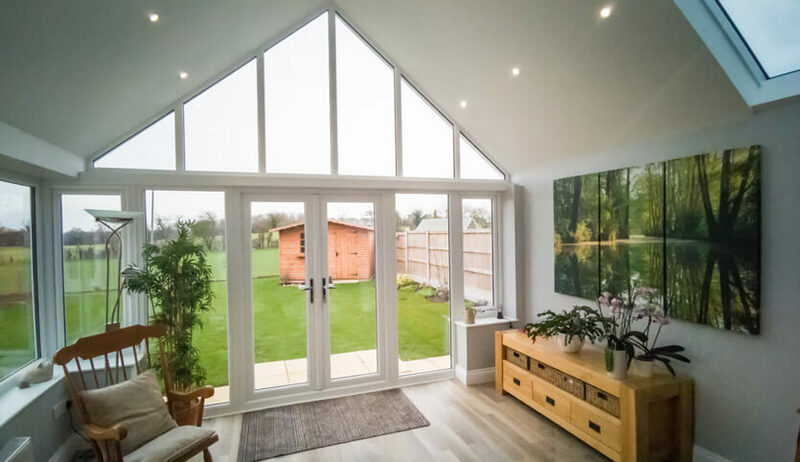 We offer self-cleaning glass that not only insulates well and lets in plenty of light but stays crystal clear all year round with no effort from you. 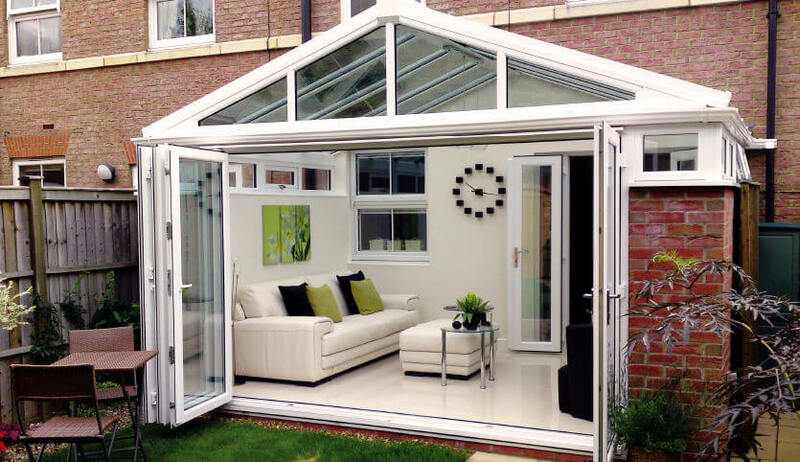 Enjoy relaxing in the summer evenings while admiring your surrounds in your stunning new Gable conservatory. 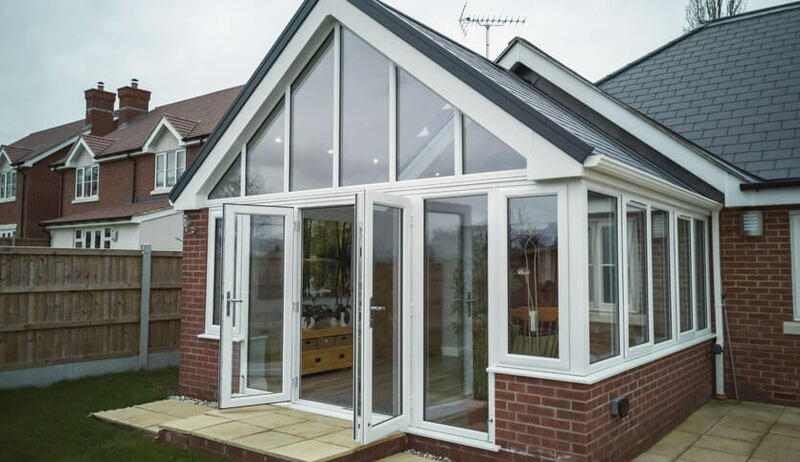 Whether you choose uPVC or aluminium, you can guarantee your new conservatory will be the perfect place to relax in whatever the weather. A Gable conservatory is the perfect way to add a regal element to your home without building a palace. Our modern and stylish Gable Conservatories are available in uPVC or aluminium to allow you to choose the best material to suit your home. 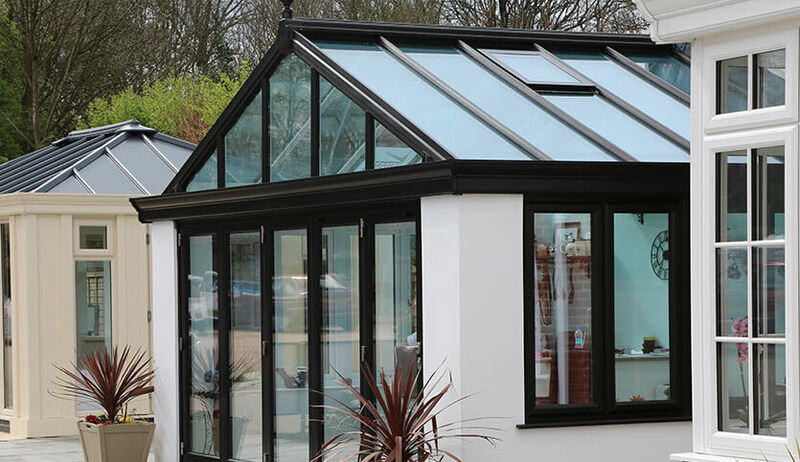 Made with lightweight aluminium to create Gable Conservatories with stunning sight-lines.